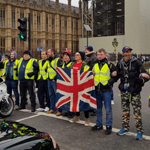 2000 Yellow Vest protesters clashed with riot police in France on Saturday as the uprising against French President Emmanuel Macron reaches its 22nd week. 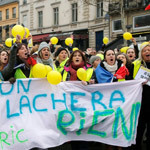 Yellow Vests flooded the streets in the French city of Toulouse as liberal leader Macron prepared to announce a series of new policies aimed at quashing 22 consecutive weekends of anti-government protests. 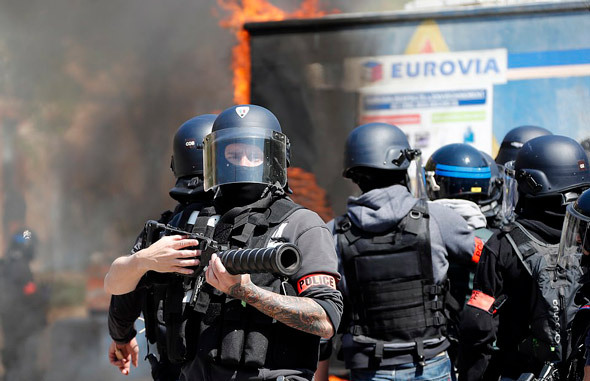 The picturesque city in the South of France resembled a war zone as police fired teargas and arrested several people. 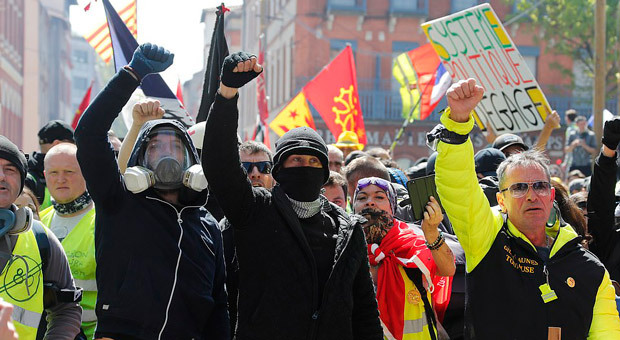 The clashes between police and Yellow Vests turned violent as hundreds of demonstrators started throwing objects, burning rubbish bins and trying to enter areas where protests have been banned in retaliation. 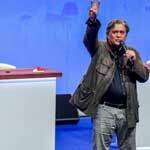 An estimated 2,000 protesters gathered on the Allee Jean Jaures - a wide avenue in the city center - and along nearby side streets. 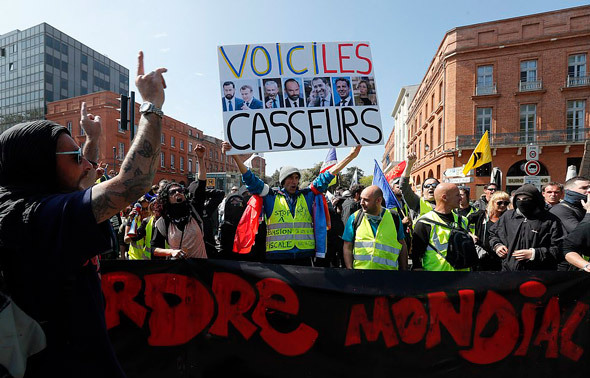 According to the Daily Mail, activist groups had said on social media networks that Toulouse would be the focus for the 22nd round of demonstrations, prompting city mayor Jean-Claude Moudenc to express concern ahead of today's protests. 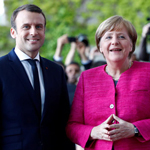 However, the movement quickly morphed into a broader backlash against Macron's government, despite a swift reversal of the tax hikes and other hurried measures worth more than 10 billion euros to boost purchasing power for lower-income voters. 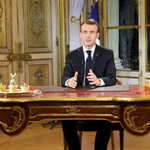 In response to rioting that made parts of Paris resemble war zones, Macron launched a two-month "grand debat," a sweeping consultation that included a series of town hall meetings across the country. Agnes Berger, a protester from Saint Cloud, west of Paris, said: "We will continue until victory. "We give up nothing, because today, nothing has been obtained. "We still have a corrupt system, an elite that governs against the people."